The European Commission is working on its newest railway package with the aim to further liberalise networks with the aim to further liberalise rail networks, citing rail’s low market shares of about 7% for freight and 12% for passenger services. But after two decades of trying to create a competitive single market, major hurdles remain. Technological differences, regulatory barriers, underinvestment and debates over how best to manage infrastructure and equipment contribute to the slow pace of change in some countries. “The fragmentation of the European railway system leads to serious problems of efficiency, flexibility and reliability as well as to high operating costs – limiting rail’s ability to compete against other modes and discouraging private investments by new entrants in the rail market,” Transportation Commissioner Siim Kallas says. The Commission’s recast of the first railway package in 2001 was adopted in 2012. It consolidates the 2001, 2004 and 2007 legislation and provides for strengthening regulatory oversight and performance of infrastructure operators. It also seeks to improve transparency in rail contracts and operations. The EU has also proposed price incentives to modernise services, expand the network and encourage the development of quieter and safer trains. But sceptics of some of the EU executive’s laissez-faire approach say without careful oversight to balance market forces, rail services on well-travelled intercity and transnational routes – the latter were fully liberalises starting 1 January 2010 - will become more competitive while service to small towns or rural areas will be neglected. Nor is there any guarantee that more competition will bring down prices – as happened with airline services after deregulation in the 1990s. “We can’t just accept that liberalisation of international transportation of passengers has led a crash in prices for this type of service, nor has it led to spectacular development,” says Belgian MEP Isabelle Durant, a vice president of the European Parliament. The European Commission is working on its newest railway package with the aim to further liberalise networks, citing rail’s low market shares of about 7% for freight and 12% for passenger services. The EU executive is also looking at ways to strengthen the European Railway Agency. “We are far from having a single European area,” Transportation Commissioner Siim Kallas told a railway conference at the European Economic and Social Committee (EESC) in September 2012. “We still languish in the 19th century,” he said, visibly frustrated by progress in Europe’s oldest mechanised mode of land transport. More than 212,000 kilometres of rail lines crisscross the EU, compared with 5 million kilometres of highways and 42,700 kilometres of navigable inland waterways. Attempts to create an interoperable European system date to the Treaty of Rome, when a European transport policy was considered, and an earlier European Conference of Transport Ministers called for better continental interoperability. The European Commission’s recast of the first railway package in 2001 was adopted in 2012. It was designed to address the historic challenges to creating a consolidated railway market, which in the eyes of the EU executive include too little competition, poor regulatory oversight and inadequate public and private investment. The 2012 recast consolidates the 2001, 2004 and 2007 legislation and provides for strengthening regulatory oversight and performance of infrastructure operators. It also seeks to improve transparency in rail contracts and operations. “It took us two years of difficult negotiations … to guarantee better competition and lay solid foundations for infrastructure funding,” Italian MEP Debora Serracchiani (Socialists and Democrats, Italy) said in a statement after voting took place on 3 July 2012. Even before the ink was dry on the recast, the Commission was working on its fourth railway package, which is to be presented in 2013. It is expected to focus on further “unbundling” the management of infrastructure from passenger and cargo operations, and further opening the door to competition in national markets. “Let’s be clear, a return to the integrated structures we had 20 years ago cannot be regarded as a realistic way forward,” Kallas has said. The challenges with railway integration reflect broader problems that have stymied greater European cooperation in transport – on the ground and in the air. Under the Cypriot presidency of the EU (1 July-31 December 2012), transport and communications ministers discussed the EU’s slow progress on mobilising intelligent transport systems, or ITS, to remove some of the frustrations regularly faced by travellers. Such hassles include lack of scheduling between rail and coach services on transnational trips, or not getting real-time traffic and weather information. The Commission has also complained that member states were failing to deploy the European Electronic Toll Service, devised in 2004 to facilitate toll payments for truckers and motorists but still languishing eight years later. Aviation officials have voiced frustration at the slow progress in integrating national air traffic control zones into regional blocks – an objective that was initially meant to be completed by the end of 2012. They accuse governments – including Germany and France – of failing to live up to their obligations under the EU’s Single European Sky (SES) initiative. Problems with European rails move well beyond the familiar frustrations that passengers experience – delays, poor transnational online reservation services, or getting one company to honour another rail service’s tickets where there is competition. Passenger travel is on the rise - up 6% between 2000 and 2007 - and high vehicle fuel prices may encourage more people to shift to trains, at least for short- or medium-distance travel. Yet even with high motor fuel prices, the reality is that Europeans rarely take trains – a concern if the EU is to meet its long-term pledges to reduce pollutants. On average, the Swiss travel 2,100 kilometres per year by train, five times more than the British and more than twice the distance of Germans. Just 4% of Europeans ride a train at least three times a week and 77% use railways less than once a month, according to a recent Eurobarometer survey. The survey shows that the Czech Republic has the highest railway usage on a regular basis, with 12% of those surveyed saying they ride the rails “most days” and 13% up to three times a week. The EU average was 4% for both categories, while Poland, Finland, Ireland and Estonia have some of the lowest use in the EU. Two EU countries, Malta and Cyprus, have no railways. Meanwhile, long-running plans to shift cargo off roads and onto rails – to ease motorway congestion and reduce emissions – have met less-than-spectacular success since rail freight services were fully liberalised at the beginning of 2007. Guillaume Pepy, president of France’s SNCF rail company, recently called freight liberalisation in his country a “resounding failure” with little change in the amount of goods shipped by competing cargo companies. The rail cargo sector was battered following the 2008 financial meltdown, falling 36% in the first quarter of 2009 – far steeper than the same figures for road freight (-14%) and air cargo (-23%), according to a study by Booz & Company consulting. National governments have had scattered approaches to implementing EU laws in three earlier railway packages – in 2001, 2004 and 2007. The absence of coordination is partly at fault for the slow change in the rail market, but other factors also have a role – including infrastructure investment, regulatory frameworks and how national governments approach their obligations. Newer EU countries faced a costly and uphill struggle to update their rail systems to put infrastructure, voltage and safety systems in line with Western nations. Differences in service quality and reliability have not only driven customers to cars, coaches or air services, but have hampered the shift of road cargo to rails. Variances in shipping container sizes were once a problem but that has largely been reduced through standardisation. Still other structural challenges have been differences in tunnel heights and widths, railway station platform designs and – in the case of labour – trade union concerns about competition from countries with lower wages. Progress in infrastructure quality and service has also been hampered by a more perverse problem: theft and vandalism. Media reports show that tough economic times have led to the theft of rail and electrical cabling to be resold as scrap. NetworkRail, the British infrastructure manager, put the cost of theft at £19 million, or €23.7 million, per year. Similar problems have been reported in Romania and Belgium. One of the persistently expensive challenges to integration has been technical interoperability. Two decades after the birth of the single market, industry figures show that 20 different types of signalling systems remain in use in the EU - typically leading to frustrating delays at border stations for a change of locomotives, or forcing operators to outfit locomotives with multiple systems. Efforts to create a single European Train Control System (ETCS) are far from complete. Thalys – a company owned by Belgian, French and Dutch rail companies – notes that it must use seven different types of train control systems on its daily runs, and has to maintain two types of train sets because of differing voltages in four of the six founding members of the European Community. Still, there has been progress in stitching together Europe’s diverse system. Cooperation through the European Rail Traffic Management System, or ERTMS, has lead to increasing standardisation in signalling and communications, which has both geographical and competitive benefits. Technology alone is not hampering integration. Industry officials say freight haulers today face a complex web of national authorisations and licensing that undermines swift shipment of goods. Commission officials acknowledge that the authorisation process has been a hurdle. This has prompted calls for enhancing the role of the European Railway Agency, or ERA, to give the EU body a central role in certification and oversight – in essence, a one-stop shop for trans-European rail services. “We have fully harmonised air, we have fully harmonised water [transport], but we haven’t fully harmonised rail,” said Libor Lochman, chief executive of the Community of European Railways (CER). He has urged policymakers to make ERA the single railway authority by 2022 for safety certification and for overseeing interoperability, with national agencies feeding information to the Valenciennes, France-based agency. Marcel Verslype, executive director of ERA, says there is increasing cooperation between national regulators and his agency to reduce licensing and certification delays. He has also says that national agencies have agreed to cooperate on safety audits, but the next step would be to formalise safety oversight. The push for liberalisation in Europe’s rail and air sectors began in the 1990s, but rail’s experience has been far more problematic. For one thing, most of the old national carriers were operating on international safety, communications and language standards. Most depended on state aid – and some like Belgium’s Sabena collapsed without it – but they were already competing in an increasingly diverse international market. A main point of contention is how to carry out reforms - and how much state involvement there should be. For example, efforts to "unbundle" infrastructure from passenger and cargo service is contentious. Some national rail companies, including Germany’s Deutsche Bahn, have resisted efforts to break up its increasingly diverse infrastructure and rail service holding company. In a preliminary ruling, the European Court of Justice has upheld the German model over Commission objections that it violated legal provisions for independent infrastructure management. And not everyone thinks the EU executive’s one-size-fits-all approach to breaking up older railway companies is a good idea. Britain moved swiftly in the 1990s to separate infrastructure operations from rail services, while breaking up the old British Rail system to allow private competition. The Netherlands, Poland, Spain and several other countries have followed similar paths as Britain, severing infrastructure from operations with varying levels of public or independent oversight. Austria, the Czech Republic and France operate under a holding company model similar to Germany’s. The Fourth Railway Package is expected to press for unbundling in such markets, with almost certain opposition from some MEPs and trade groups. Roger Cobbe, of the Association of Train Operating Companies, told a conference in Brussels in 2012 that what the British had learned from their unbundling experience in the 1990s is that "railways will never be a perfect Adam Smith model of competition and service", and that regulatory reforms and investment should take precedence over unbundling. "Don't expect unbundling to solve everything and in the fourth railway package, it may need to be way down the list of priorities," Cobbe said. Despite EU pledges for targeted funding, railways still compete with other infrastructure funding needs – including upgrades to motorways, airports and canals. Kallas, the EU transport commissioner, has fought to protect proposed funding for his projects from budget-wary national governments. The Commission had sought more than €30 billion for the Trans-European Transport Networks (TEN-T) for 2014-2020, of which some €20 billion was budgeted for rail-related projects. And the focus is not just on passenger services – the EU executive has long recognised that its efforts to reduce emissions depend on shifting cargo from road to rail. On 10 September 2012, the Commission announced funding under the TEN-T programme for a freight rail corridor connection Rotterdam, Aachen and Warsaw to Terespol, Poland, which hugs the border of Belarus – the so-called Corridor F of the EU’s priority rail freight corridors. The EU funding includes €3,864,000 for the project. The work is part of an overall €200 million in transport projects announced by the EU executive. Corridor C: Antwerp to Lyon, with connections to Luxembourg and Basel. For passengers, the EU continues to encourage the development of high-speed networks, with advocates saying trains could readily replace planes on shorter hauls, while fast service would lure drivers off clogged motorways. Today, high-speed lines link most major EU cities in western and central European cities with plans for expansion to the east. There are more than 6,000 kilometres of high-speed lines – six times more than in 1990 and just as with cargo corridors, the European Commission has identified a number of priority projects for speedier passenger services on north-south as well as east-west lines. Consumer advocates fear that the higher investment in both infrastructure and premium railway carriages will drain funding for older, slower regional lines. The advent of faster trains has already corresponded with service reductions in some countries, passenger advocates say. Competing service providers on these lines also raises another consumer question: cooperation on ticketing and reservations. The European Passengers’ Federation, for example, notes the risk of one company not accepting the tickets of another under unusual circumstances – such as when trains are late or cancelled. 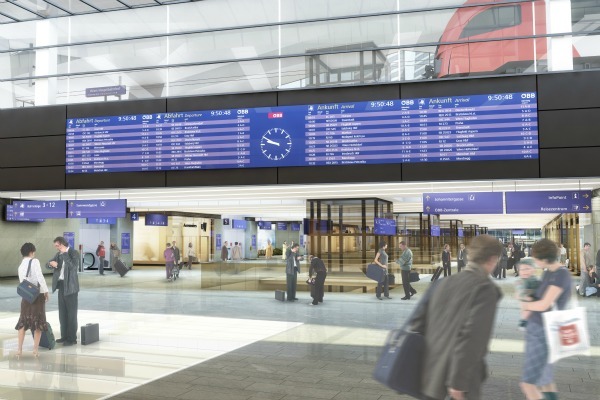 The European Regions Airline Association (ERA) has urged the EU to reconsider its “blatant bias” for costly high-speed rail networks and instead boost competitiveness and duplicate successful plane-train links. The association issued a report challenging the cost benefits of high-speed rail and contending that rail is not as green-friendly as promoted by policymakers. But high levels of public investment have not been controversial in Switzerland, a country that is not part of the EU but is at the crossroads of its rail and highway networks. The Swiss public has consistently voted for investments in railways. A tax on road haulers helps foot the bill: the government estimates that the truck levy generates the equivalent of €820 million per year for infrastructure – two-thirds of which is earmarked for rail. Since 1999, Switzerland has liberalised its rail market, with two legacy carriers – SBB and BLS – split vertically into infrastructure and transportation operations. The country also opened up to rail cargo to competition nearly a decade before the EU did. Giorgio Tuti of the European Transport Workers’ Federation, has described the Swiss model as competitive, but one that weighs the interests of the companies, railway workers and passengers. “We don’t want cut-throat competition,” said Tuti, who is also president of the Swiss Transport Workers union, the SEV. “Our model is to offer basic service of high quality for a relatively affordable prices for all citizens of Switzerland,” he said, adding that European regulators also need ensure that service is uniform and that lower-volume routes are not neglected in competitive markets. For all the challenges in the EU, the traditional railway landscape is definitely changing. In Britain, 28 different companies compete for passengers. New entrants increasingly are taking on legacy railways on national and transboundary routes. Westbahn, a private company, is challenging Austria’s ÖBB in the heavily travelled Vienna-Salzburg route. In the Czech Republic, privately operated RegioJet – a division of the popular Student Agency coach and travel company – is going head-to-head with the historical carrier, ?eské dráhy. A third company, LEO Express, entered the market in mid-2012, promising both domestic and long-distance high-speed services on some routes already serviced by RegioJet and ?eské dráhy. Also in 2012, the private NTV company launched service in Italy, with its Italo trains connecting the northern cities of Bologna, Florence and Milan. But Kallas argues that more needs to be done. “While road transport and aviation are capable [of adapting] to the market and evolve quickly, rail transport cannot afford anymore a conservative and defensive approach,” he said in a recent speech. More coordinated investment in infrastructure and rolling stock are needed to maintain the competitiveness of railways in Europe, participants said at a Rail Forum Europe discussion on 11 September 2012 at the European Parliament in Strasbourg. Danuta Hübner, chairwoman of the European Parliament’s Committee on Regional Development, underscored the the need to invest in rail. “It is a shame that a disproportionate amount of EU money is spent on road projects, especially in Central and Eastern Europe” she said. “In order to develop a truly interoperable European rail system, we must seek the highest possible level of complementarity and coordination between the EU, Members States and regions” Hübner said. Aleksander Wolowiec, a board member of Poland’s PKP-PLK railway, said investments are needed to improve the conditions of infrastructure and renew the rolling stock fleet. “The Polish railways’ improvement programme includes modernisation and revitalisation of lines, construction of new lines including high-speed, purchase and modernisation of rolling stock and modernisation of stations”. “These new rules will very significantly change the way competition works on the rail market,” Transportation Commissioner Siim Kallas said after the parliamentary vote. “This is a very substantial step forwards. At last we can close loopholes in the current laws that can allow discrimination against newcomers and block operators from providing new and innovative services. The high level of ambition of the European Parliament is particularly encouraging as we look to the next package of measures to develop services on the rail market that the Commission will propose by the end of the year." German MEP Werner Kuhn of the European People’s Party commented, “The single European railway market can only succeed with common standards and smooth coordination. "We need strong and independent national regulatory authorities for a successful opening of the railway market and a model in which network and railway operators continue to cooperate closely," he said. Polish MEP Ryszard Czarnecki ? (ECR) called the package, "unfavourable for Poland. Namely, we were unable to defend the so-called Polish exception: i.e. the exclusion of the LHS company [broad gauge railway line] from the harmful scope of this directive. "However, the report also contains beneficial solutions, for example the financial rules will force member states to swiftly finance railway projects. This will undoubtedly contribute to the improvement of the railway sector in Poland." At conference on the deployment of the European Rail Traffic Management System (ERTMS), hosted in the European Parliament by Rail Forum Europe in January 2012, several speakers discussed the need to accelerate the expansion of the collaborative system. Christian Faure of DG MOVE, said the implementation of the ERTMS European Deployment Plan is a priority for the Commission. Commission proposals for a track access charge discount for ERTMS-equipped trains and full ERTMS deployment on the Trans-European Transport Networks (TEN-T) network by 2030 should improve project’s business model. Sergio De Luca, chief executive of the Ansaldo STS, a rail and transport company in Italy, said that although ERTMS is a key European asset, it is currently underexploited. ERTMS is “an effective and efficient signalling system developed in Europe to allow network interoperability, which has de facto become a global industry standard, confirming the European rail industry global leadership.” But he said that Europe has recently slowed down ERTMS investments while non-European countries have accelerated their investments in the technology. At an International Transport Forum meeting in Leipzig, Germany, on 4 May 2012, transport ministers from 53 countries called for international cooperation on ‘seamless’ travel. “Seamless transport is a powerful and ambitious strategic vision for the future of transport systems”, they said in a statement, adding that a common platform “drives the development of better mobility and sustainable economic growth”. Friends of the Earth blasted planned fare increases in Britain set to take effect in 2012. “Rocketing rail fares will be an enormous blow to cash-strapped commuters and will simply make it harder for many people to get to work and encourage more vehicles onto our over-crowded roads,” the environmental organisation said in a statement. “Earlier this year the government froze fuel duty for motorists – similar support should be given to rail-users by capping fare rises below inflation. 21 June 1999: Bilateral agreement on overland transport between Switzerland and the EU. The deal was approved by Swiss voters on 21 May 2000 and entered into force on 1 June 2002. 2007: Third railway package, which called for liberalisation of international passenger service in 2010 and provided a bill of rights for passengers. 3 July 2012: Parliament approves the recast of the first package, which consolidates the 2001, 2004 and 2007 legislation and provides for strengthening regulatory oversight and performance of infrastructure operators. The legislation takes effect at the end of 2012. 2013: Fourth railway package, which is likely to focus on further opening domestic markets to competition and harmonising regulation under the European Railway Agency (ERA). In Malta we don’t have trains we are very lucky, otherwise they never arrive in time or nun at all. The EU should investegate why after one and a half year, this bus service is a HELL to all of the citizens all over the country.The buses go where the passenger do not wish, or live in those zones. It is a bloody mess to workers ,students who have to wakeup early then usual, The preferance is given to tourists, yes they have direct bus at a higher ”fair”, if we the locals use this service, we are intruding, mostly they are the British with a USA passport…wonder what they are doing on this island of dust and heat??. – The recast of the 1st Railway Package was only proposed in 2010 and not in 2001. It was indeed adopted in late 2012. – The publication of the 4th Railway Package is due in early January 2013 and not in 2012. On the content, these initiatives have blown a useful wind of change. However, it seems that this was not sufficient so far to restructure the sector. Interconnecting European Rail systems appears necessary. It makes sense to talk about the need to reduce fragmentation in this respect. But I fear that liberalising the networks in the classic sense of opening still publically owned companies to the market is not necessarily the solution. This happened in the UK. After years of chaos, and I mean real chaotic situations when trains were not just simply late for hours but they were cancelled, we now face the opposite than affordable and environmentally friendly solutions. Using private cars or renting cars is cheaper in the UK than using the trains that are now owned by private companies. A fifty minutes train ride from the South-East into London cost between 25- 35 pounds which is very roughly 28-40 Euros for the return ticket. A 50 minutes train ride for this amount of money is especially horrendous when one compare the fairs with much (!) more comfortable trains abroad. For example, the trip from Salzburg to Vienna (3 hours train journey) is cheaper. It cost between 15-25 pounds. Sometimes it is even cheaper. For this particular distance (Vienna- Salzburg), there are two providers (ÖBB and Westbahn) that compete. One has to point out that this kind of competition is quite unusual in a European environment as it is on a non-equal level: The Austrian ÖBB is public and the Westbahn is private. But it keeps the price down and helps the ÖBB with to speed-up reforms. Therefore, I do not propose to keep all publically funded networks off the market. But we need to find other solutions than radical privatisation. We have to stop making the same mistakes than in the 80ths and 90ths.